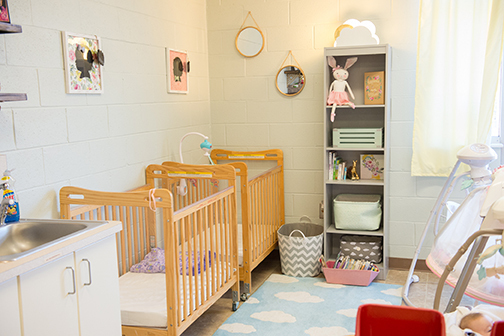 Our Infant Room offers a 1:5 ratio, which allows the teachers to provide plenty of love, hugs, and personal attention throughout the day. Each baby has his/her own crib and musical mobile. The sheets are changed once a day, or more if needed. Daily reports and weekly lesson plans will help keep you informed of your child’s development, but we also have an open-door policy and welcome parents to visit or call anytime throughout the day. 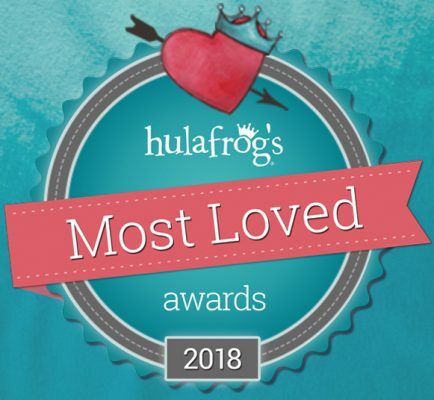 Our loving, well-trained staff recognizes that each child is unique and that it is vital to each child’s development to receive lots of love and attention. It is our belief that when parents and teachers work together the children can only benefit. Classy Kids provides a developmentally appropriate program that is challenging, stimulating and meets the needs for our toddlers. We know that toddlers are ready to explore the world around them and they are always on the move! That is why we have created a fun, safe, play-filled environment to fulfill these needs. 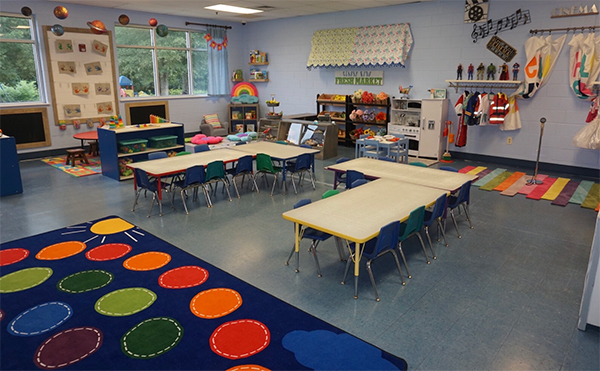 Advancement into or out of this room is based on each child’s individual readiness. 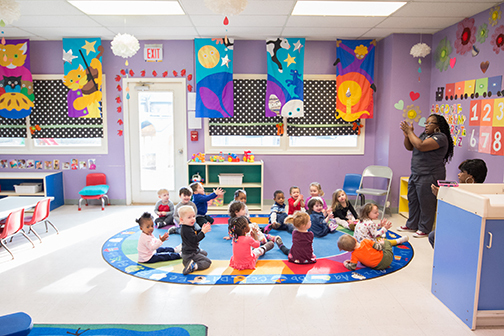 This high quality early childhood program provides a nurturing and loving place while promoting physical, social, emotional, and intellectual development in young children. 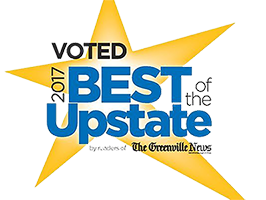 We offer a 1:6 teacher/toddler ratio. Our program introduces teacher planned learning experiences in art, language, fine and gross motor skills, movement, music, and more! We begin to learn and recognize colors, shapes, and our favorite nursery rhymes. 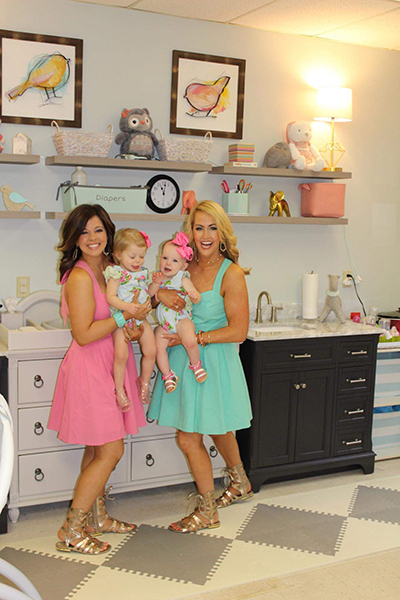 Classy Kids places emphasis on the development of small and large muscle skills through play, building, music, and movement. 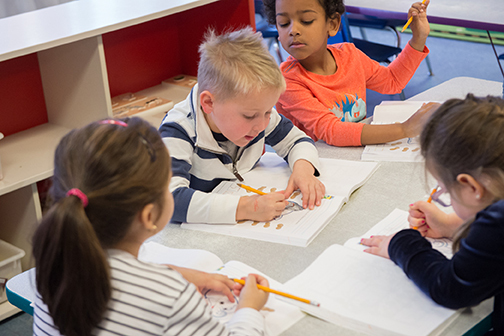 Daily Information Sheets and Monthly Lesson Plans will keep you informed of your child’s development and progress, but we also have an open-door policy, and welcome parents to visit or call anytime throughout the day. The mission of Classy Kids Child Development Center, Inc. is to live up to our name! That is why we have created a fun, safe, play environment to fulfill your child’s needs. We realize that children learn through active, direct interaction with materials and adults who facilitate children’s learning. We use puzzles, games, and art materials to stimulate “hands-on” learning experiences. 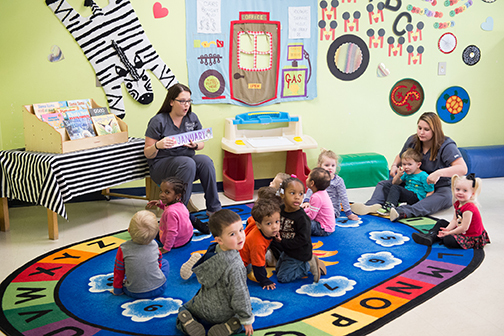 Language and listening skills are taught through stories, finger plays, songs, and rhymes. 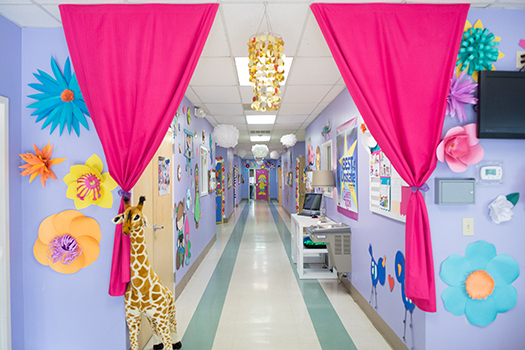 Our learning centers are designed with imagination in mind which enable children to explore and learn through play. We use creative curriculum to introduce counting, shapes, and colors. 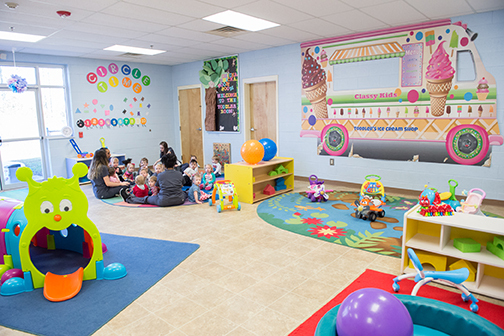 Monthly Lesson Plans will keep you informed of your child’s development and progress, but we also have an OPEN DOOR Policy and welcome parents to visit or call anytime throughout the day. Our Classy Kids children look forward to school each day. Our exciting classrooms keep children ready to learn, enjoy group activities, and make new friends. 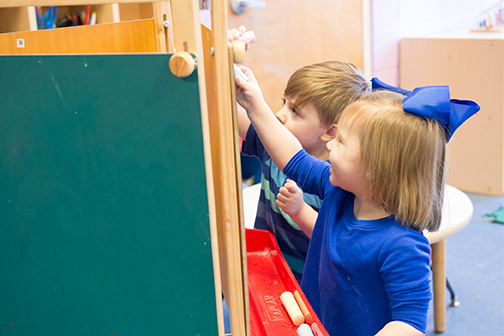 Our curriculum offers early math and literacy skills. In our K-3 room, we include number recognition, counting, and geometric shapes. Curriculum is built around monthly and seasonal themes. Before entering K4, the students will know how to count to at least 20, number recognition to 10, sorting, and simple AB, ABC patterning. We begin handwriting by tracing letters and shapes. Each child will work toward writing his/her name. We will strengthen our fine and gross motor skills through in and outdoor play, music and movement, and teacher planned activities. 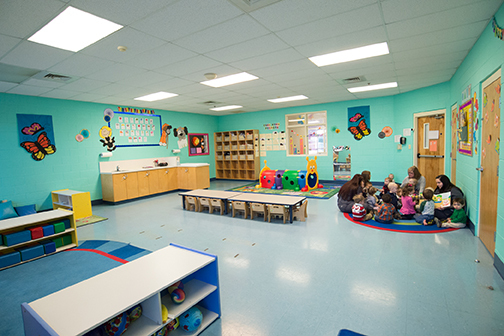 Our goal is to create a creative, active, and stimulating environment for your children to learn and grow. 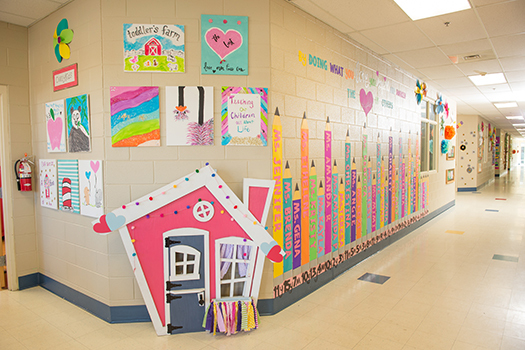 Daily Information Sheets and Monthly Lesson Plans will keep you informed of your child’s development and progress, but we also have an OPEN DOOR Policy and welcome parents to visit or call anytime throughout the day. Our Classy Kids children look forward to school each day. Our exciting classrooms keep children ready to learn, enjoy group activities, and make new friends. Our curriculum offers early math and literacy skills. In our K4 & K5 rooms, we include number recognition, counting, and geometric shapes. Curriculum is built around monthly and seasonal themes. Before entering K5, the students will know how to count to at least 20, number recognition to 10, sorting, and simple AB, ABC patterning. We begin handwriting by tracing letters and shapes. Each child will work toward writing his/her name. We will strengthen our fine and gross motor skills through in and outdoor play, music and movement, and teacher planned activities. 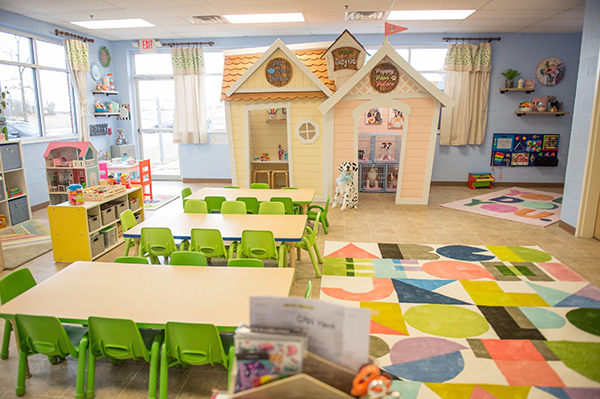 Our goal is to create a creative, active, and stimulating environment for your children to learn and grow. 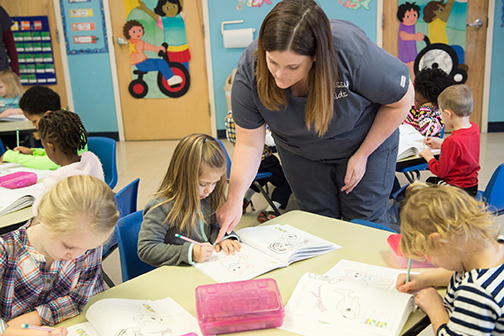 Daily Information Sheets and Monthly Lesson Plans will keep you informed of your child’s development and progress, but we also have an open-door policy and welcome parents to visit or call anytime throughout the day. 9:00 am – Circle Time: Pledge of Allegiance, ABC’s, Numbers Shapes, Colors, Days of the Week, Months of the Year, Weather Chart, Seasons, Five Senses, Nursery Rhymes & Music.